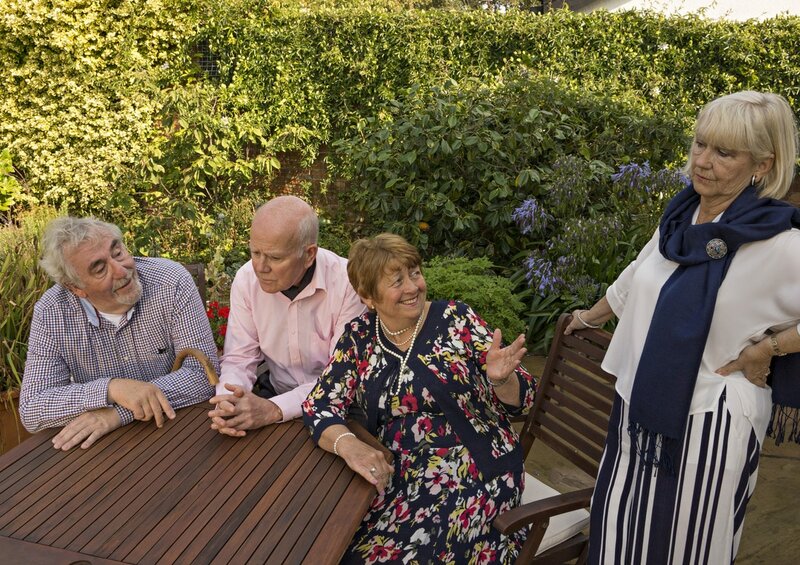 Cecily, Reggie and Wilfred, all famous opera singers in their day, are enjoying their autumn years in a home for retired musicians. They are looking forward to performing in a concert to celebrate Verdi’s birthday. When Jean Horton, the fourth member of their famous quartet takes up residence at the home, they must surely perform the Rigoletto Quartet. Jean, tactless, overbearing, constantly reminding everyone of her Diva status, who also happens to be Reggie’s ex-wife, has other ideas. Can the four put aside their old grudges and re-team for one more show-stopping finale? A warm, uplifting and poignant play by Ronald Harwood, the author of “The Dresser”. Harwood also wrote the screen play for the film “Quartet” which starred Maggie Smith, Tom Courtenay, Pauline Collins and Billy Connolly. Congratulations to Cast and Crew. “Quartet”- Fylde Coast Players- 21.10.2016. 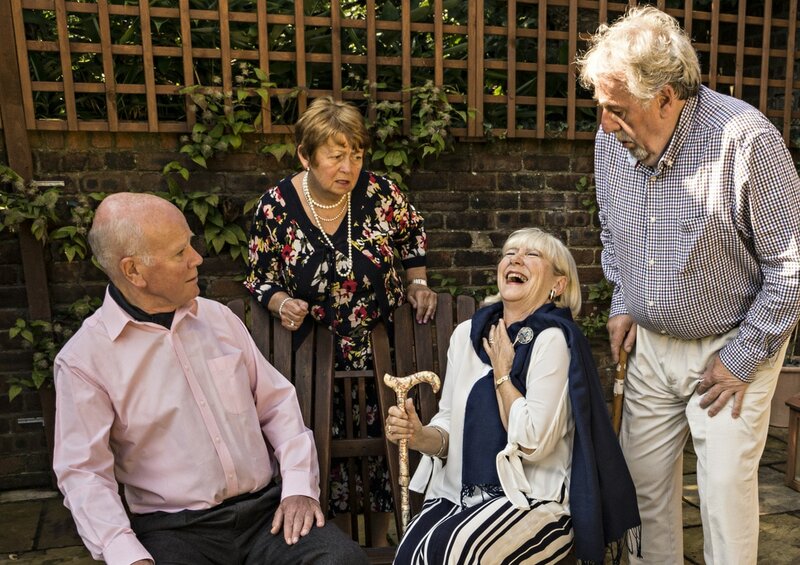 This play by the talented and renowned writer Ronald Harwood is set in a care home for retired singers and musicians. 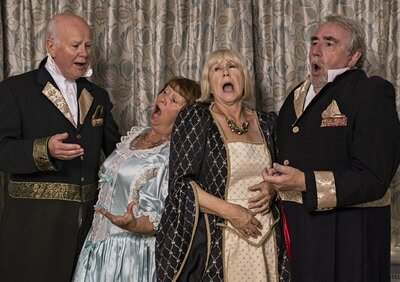 The four characters in the piece are retired Opera singers who sang together many years ago. They are famous for a performance of the Quartet from Verdi’s “ Rigoletto” and spend most of their days recalling the time when they were at the top of their profession. Ronald Harwood writes sympathetically about the ageing process in other plays and this particular script continues that theme. The tone of this play is tragi-comic and Poppy Flanagan, Director manages to bring out both aspects to great effect. The settings were created in the round and this worked well, on the whole, giving a large playing, area enabling the actors to move at will. The cast had obviously worked tirelessly to make sure they could be seen and heard from all sides of the theatre although I did hear that some of the dialogue was lost as some on the tiered seating mentioned that occasionally they had difficulty in hearing. I was at ground level and had no such problems. The rapport between the four actors was excellent. All characters were well defined and completely believable and I was thrilled by the changing dynamics as the play progressed. The back stage crew must be congratulated on the seamless changing of props and furniture. Costumes were just right, both the modern and the magnificent “Rigoletto” outfits. I particularly enjoyed the scene in the changing room when preparations were being made for the final performance. The four actors showed their obvious experience as they dressed and made up as they coped with the varied dialogue. Well done to Ian Edmundson, Reginald who actually stitched the alterations to the“ hump” with great aplomb. All actors in tonight’s performance have a wealth of experience and it was a delight to watch them bring out all the nuances of each character. They looked completely at ease performing in “the round” so different from the usual playing area. 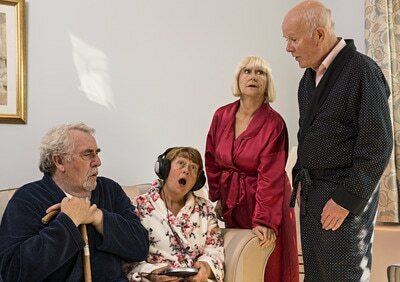 Ian Edmundson, Reginald, Teresa Mallabone, Cecily, Jeff Redfern, Wilfred and Rosemary Roe as Jean would grace any professional theatre but I am certain that the people of The Fylde Coast will be so glad that these actors have decided to show their talents in local venues. Poppy Flanagan has ensured that she harnessed all the finesse that the cast has in abundance. The finale was superb as all four characters, dressed in splendid period costumes lip –synched, in Italian, to the Quartet from Verdi’s “Rigoletto".